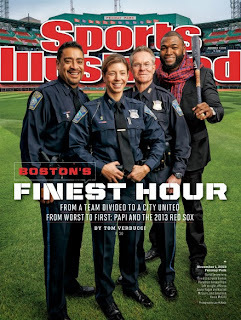 World Series MVP David Ortiz made the cover of this week's Sports Illustrated and he brought along three other heroes. 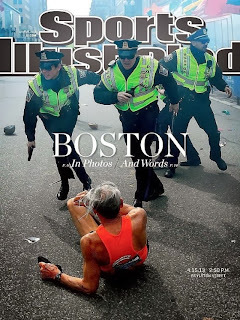 Ortiz appears with three Boston Police officers who were among he first-responders to the Boston Marathon bombings back. 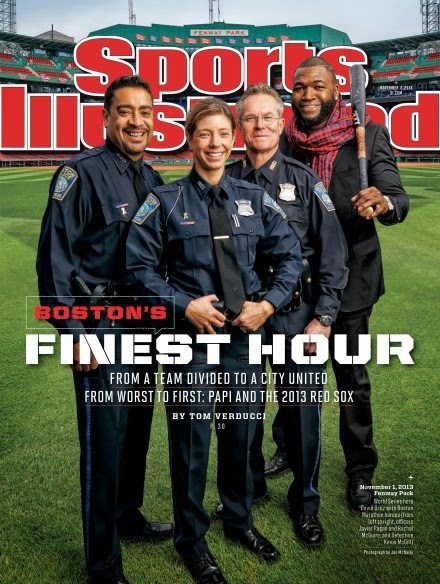 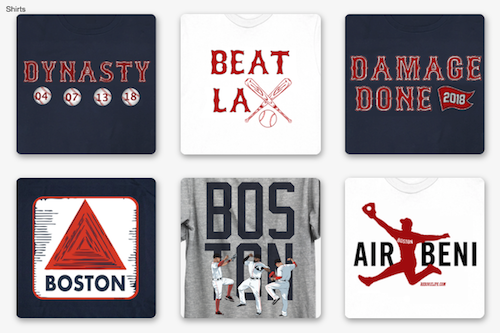 The new Sports Illustrated issue, which comes out Wednesday, includes a column by SI senior baseball writer Tom Verducci on the World Series champion Red Sox and the role the team played in helping Boston recover from the bombings. The three officers - Javier Pagan, Rachel McGuire and Kevin McGill - all appeared on the SI cover back in April under different circumstances entirely.